Custom built to your specifications for glass windows that you provide. Custom built to any size door that you provide. 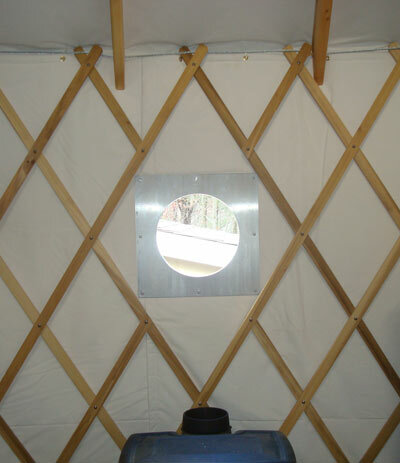 Your yurt comes with a standard 36" steel door included in its price. 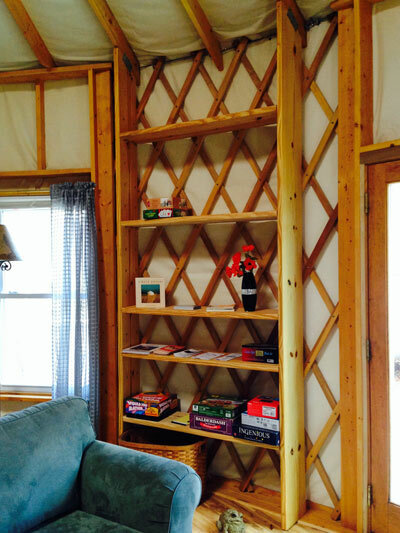 If you wish to provide your own door, you can save $200 off the price of your yurt. 36" doorway with a 36" X 80" steel door. 48" doorway with a 48" X 80" full-light French door. 60" doorway with a 60" X 80" full-light French door. 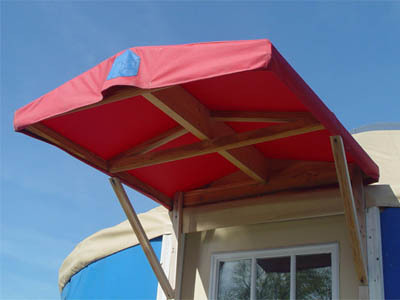 Door awning for 36" doorways. Door awning for 48" doorways. Door awning for 60" doorways. 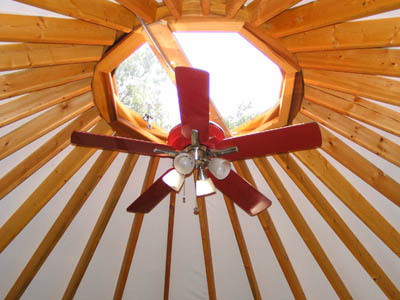 Allows hanging a ceiling fan from the compression ring. Our metal stovepipe inserts allow you to connect a wood stove to a chimney through the fabric of your walls. 2x4 vertical supports can be upsized and adjustable shelving can be added. Inquire about prices.